Vickie's Kitchen and Garden: My Frugal Ways this Past Week 6/18/17! My Frugal Ways this Past Week 6/18/17! Made the teacher appreciation gift for my grandson's teacher. Total cost was .50 cents. Used my first harvest of rosemary and thyme from my herb garden on the baked chicken. Also used it in eggs. Won a Free Hillshire Farm smoked sausage product at Kroger playing their Summer is Delicious game. 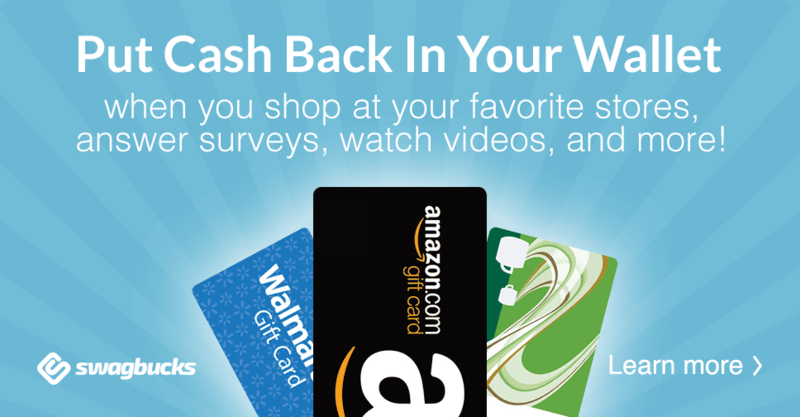 I also took the Kroger survey for more fuel points. I bought discounted deli meats at Walmart early one morning. 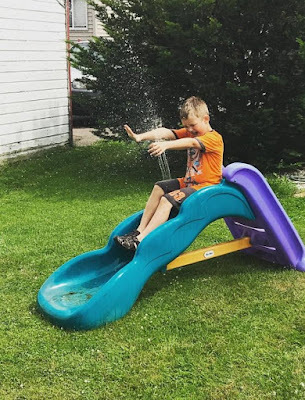 We picked up a slide along side the road last year and the grandson had a lot of fun with it yesterday. Granddaughter on the other hand was not having any of it. I was given radishes at the volunteer garden. Wednesday Baked Chicken (made with fresh rosemary and thyme), and salad. Friday Frugal date day: We went fishing up north and stopped at KFC for their $5 meal deal. We also stopped by an Amish Bake stand along the way for some snacks (he knew he had to turn around). We didn't catch any fish but it was fun. Sunday Husband requested take out Stromboli for Father's day. Wash the other half of the living room walls. Keep working in the garden. It's been very hot so I have been going out in the garden when its cool either morning or evening.